聖HIJIRI, a Japanese expression for ‘The Maestro’ or ‘Strong Leader’, gives an exceptional contribution in sound quality. 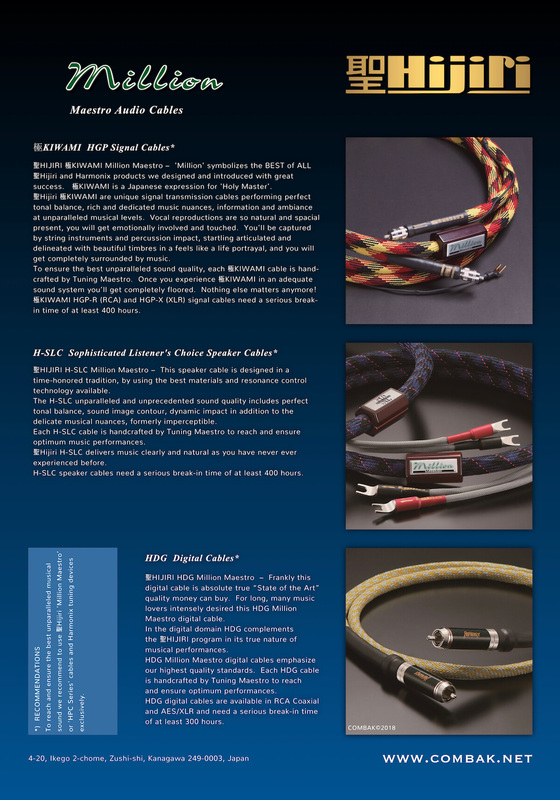 Harmonix Tuning cables had strong reputation based on Golden Performance interconnect cables, Sophisticated Listener’s Choice and Exquisite speaker cables, and StudioMaster power cords. 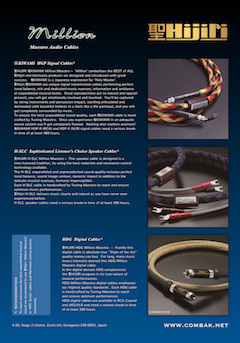 The X-DC SM-MR ‘Million’ power cord, acknowledged as a world reference, became the design reference for COMBAK’s new 聖HIJIRI brand cables. 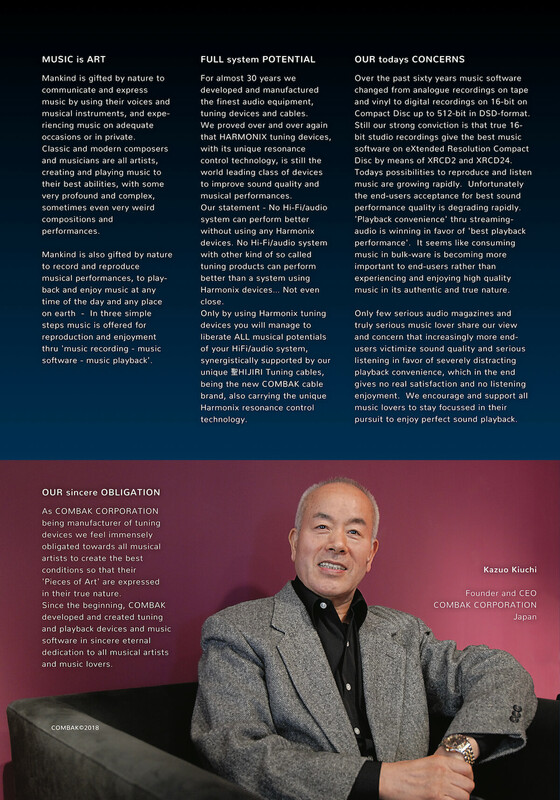 … optimizing current and signal flow, tuning resonances, and eliminating electromagnetic and RF interferences up to almost 100%. 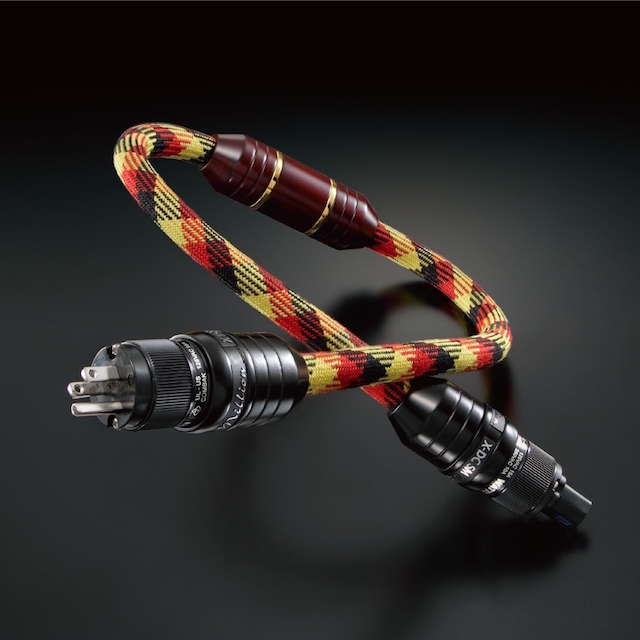 It took 5 years developing a complete new COMBAK cable program 聖HIJIRI ‘Million’ Series and High Cost to Performance Series, aiming at perfect tonal balance, sound stage imaging, dynamic musical and emotional impact. 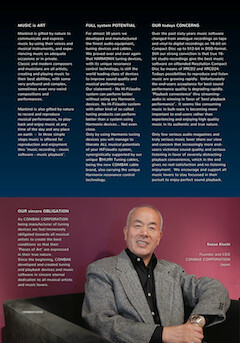 聖HIJIRI … conducting all beautiful ‘Pieces of Art’ in their true meaning of creation. 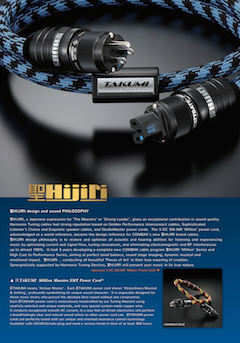 Synergistically supported by Harmonix Tuning Devices, 聖HIJIRI will present your music in its true nature. Also available on paper. Contact your dealer or distributor. 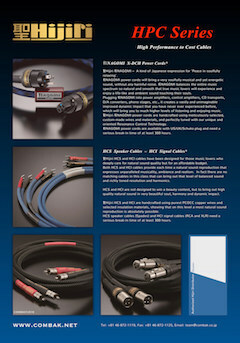 HCS speaker cables also available with banana plugs. Please leave a message, your phone number or email address [john(at)gmail.com].